The Stage Is Set. So You Think You Can Dance Australia Is Back. So You Think You Can Dance Australia makes its highly anticipated return to TEN on Sunday, February 9, at 6.30pm for an action-packed series of spectacular dancing and family-friendly entertainment. The multi-Emmy Award winning, global television phenomenon captivated Australians for three years. Its return to TEN promises to inspire and amaze once again, with more breathtaking performances and jaw-dropping moments as contestants compete to become Australia’s favourite dancer. 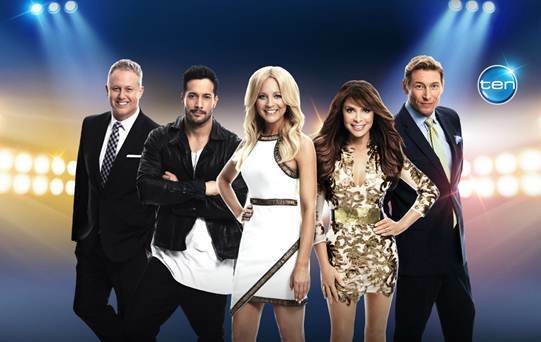 The Logie-Award winning local series features our greatest talent line-up to date, hosted by Carrie Bickmore, with judges Paula Abdul, Jason Gilkison, Aaron Cash and Shannon Holtzapffel at the helm. Producers have travelled across the country in search of the best 100 dancers Australia has to offer. In a challenging and competitive week of workshops and dance-offs that are full of tears of joy and tears of sorrow, tantrums and unexpected surprises, these top 100 dancers have the opportunity to fulfil their dreams. From there, the last remaining contestants will “dance for their lives” as our panel of judges select the Top 20 dancers (10 boys and 10 girls) who will go on to compete in the “performance” shows – when Australians will cast their vote. During the spectacular weekly performance shows, the contestants will be paired up to perform routines from a selection of genres – from jazz and urban to contemporary and ballroom – all showcasing the great variety of dance in Australia. So brush off those dancing shoes and get ready for a rollercoaster ride of dance when So You Think You Can Dance Australia returns.